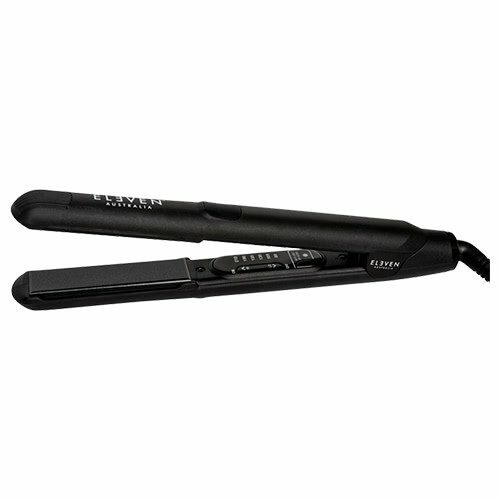 Buy the ELEVEN AUSTRALIA FLAT IRON I Edwards And Co. The ELEVEN Australia Flat Iron is the perfect styling tool for creating sleek straight hair, effortless waves or polished curls.With our Rapid-Heat Technology© you can create your look in seconds. Featuring thin ceramic plates, six temperature levels, universal voltage and a 30 minute sleep mode for safety; the ELEVEN Australia Flat Iron is your styling go-to and the perfect travel partner.